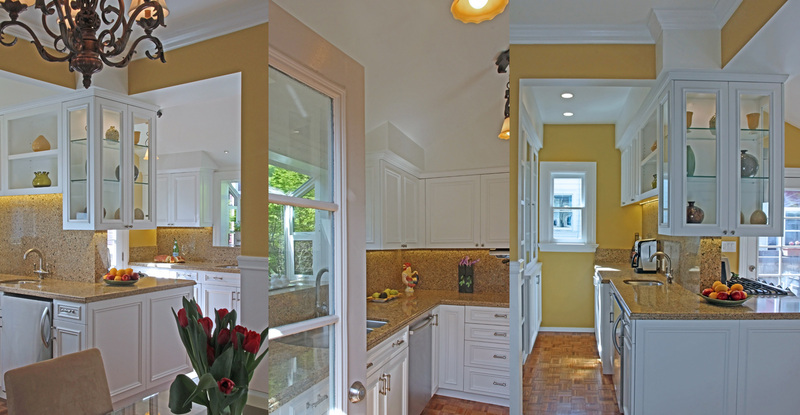 A complete remodel of an upper flat Edwardian condominium in the Castro district of San Francisco, focusing on the Kitchen and Bath. 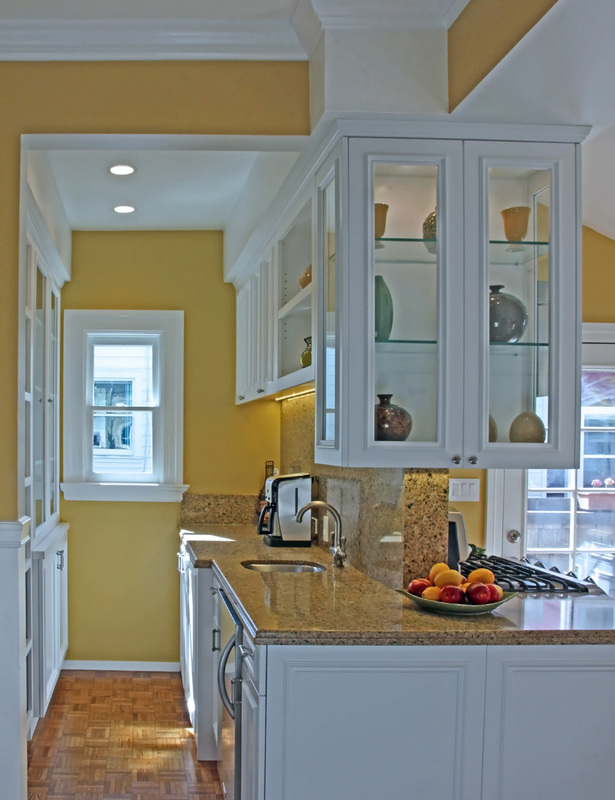 The remodeled Kitchen features an open floor plan while keeping the Kitchen work zone well defined. 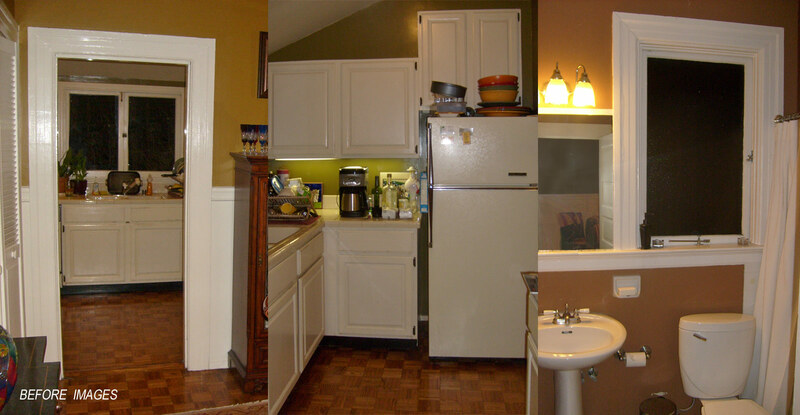 An existing unused nook was engaged, and a portion of the existing wall between the Kitchen and Dining Room demolished. 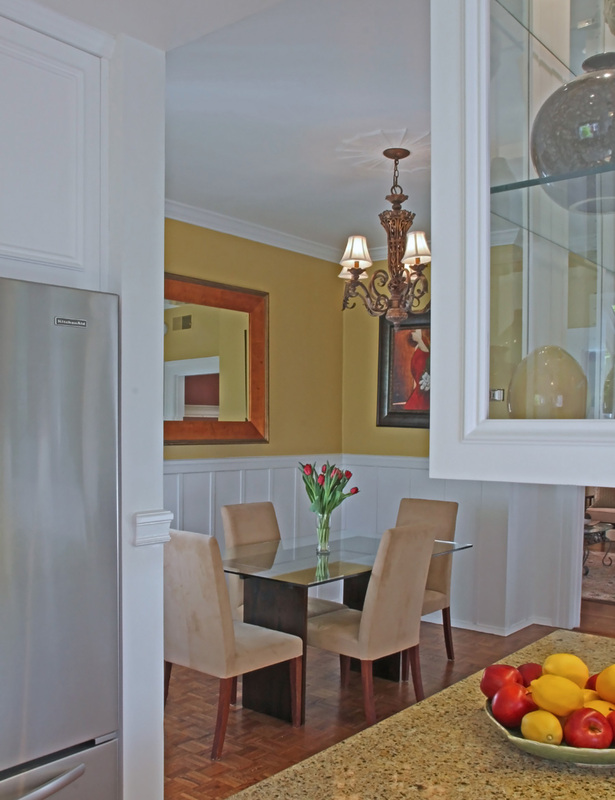 A unique wrap around Kitchen was created with a wet bar area adjacent the Dining Room. 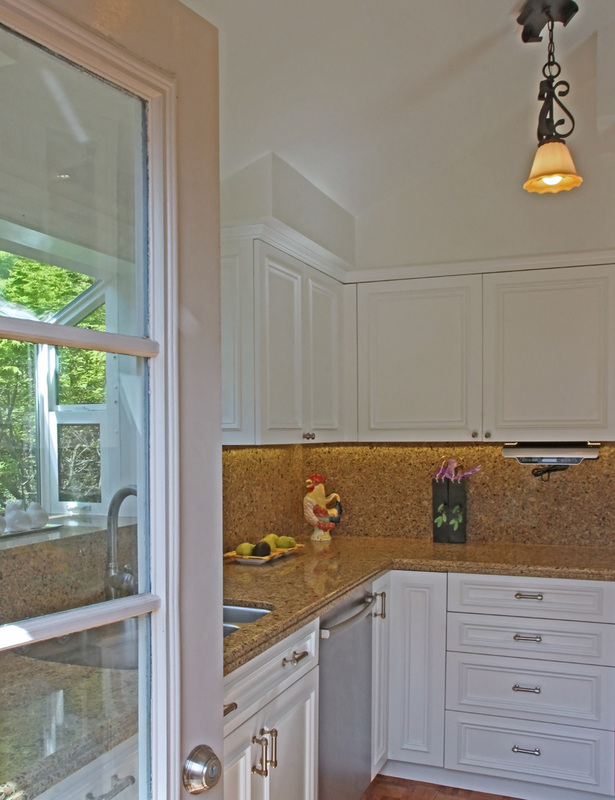 The cook can easily entertain while maintaining their work area, the additional hostess can entertain and access the well zoned wet bar without disturbing the chef. 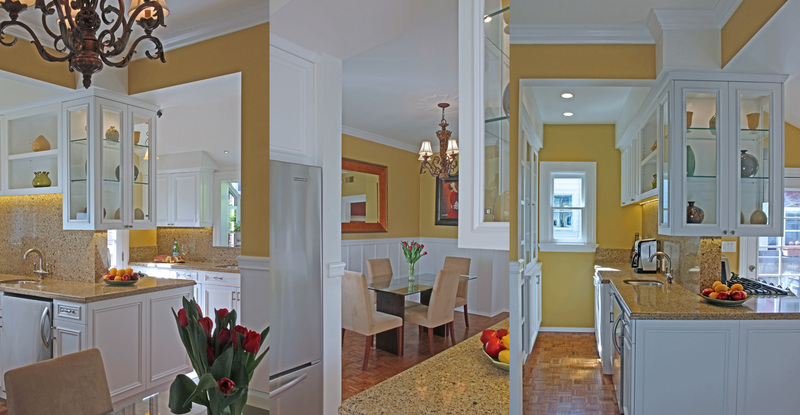 Each of the remodeled spaces are diminutive, while creating an expansive sense of space. 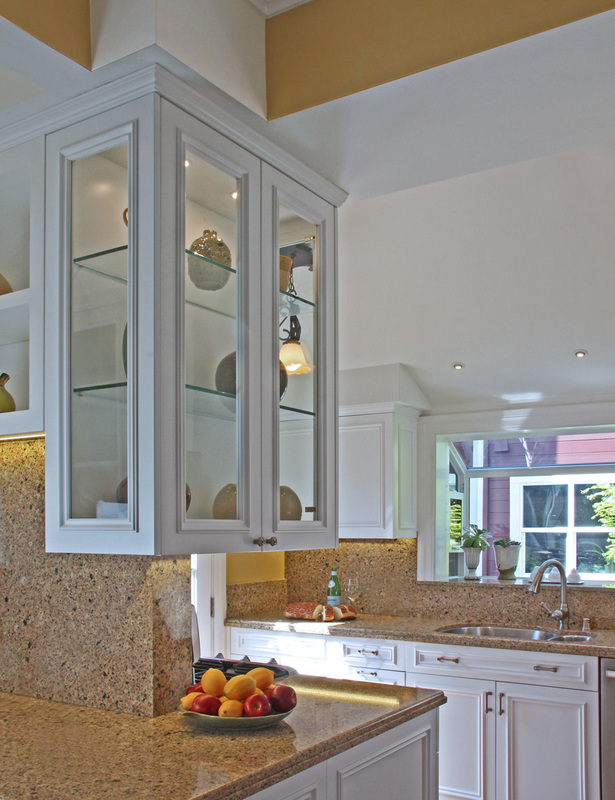 The Kitchen and Wet Bar are designed to maximize storage and efficiency. 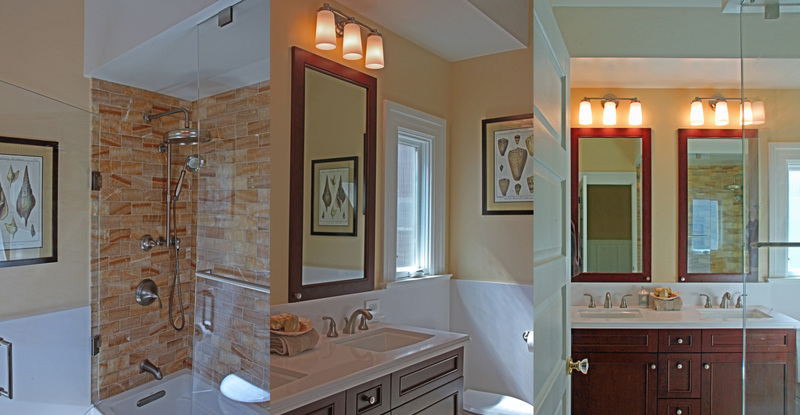 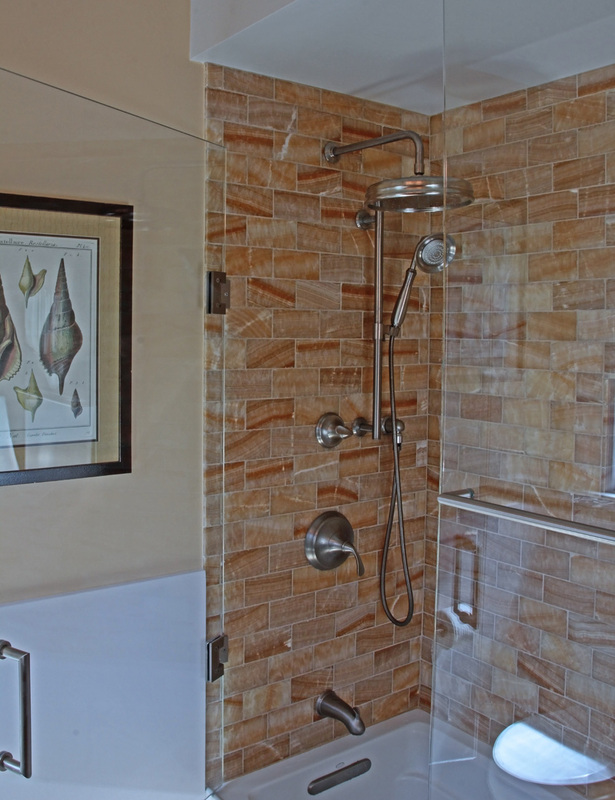 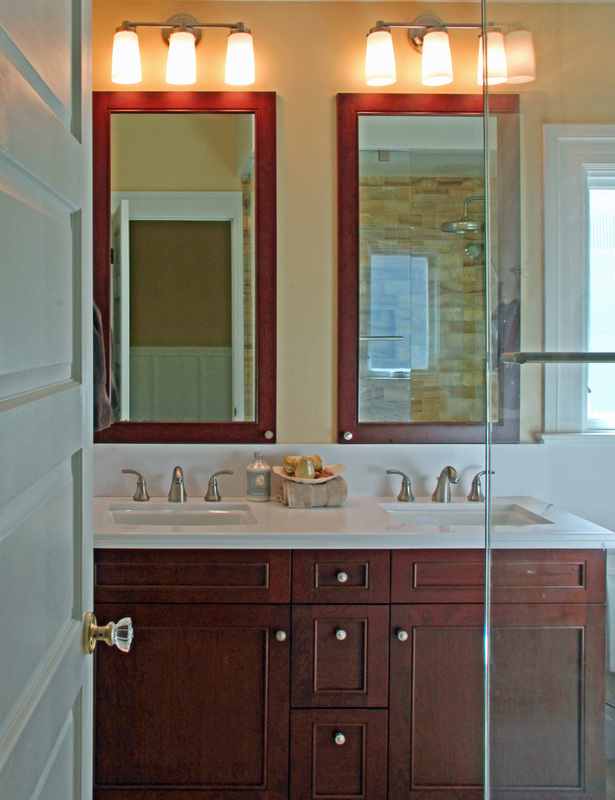 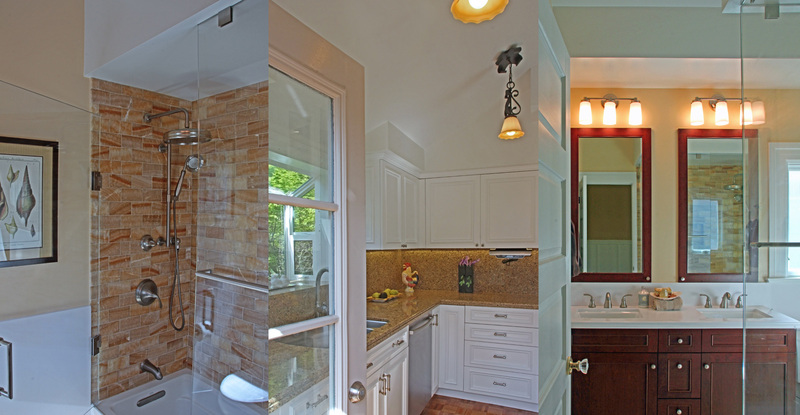 The existing inefficient Bath layout was reconfigured, allowing a double vanity and a large corner bath tub and shower with frameless glass. 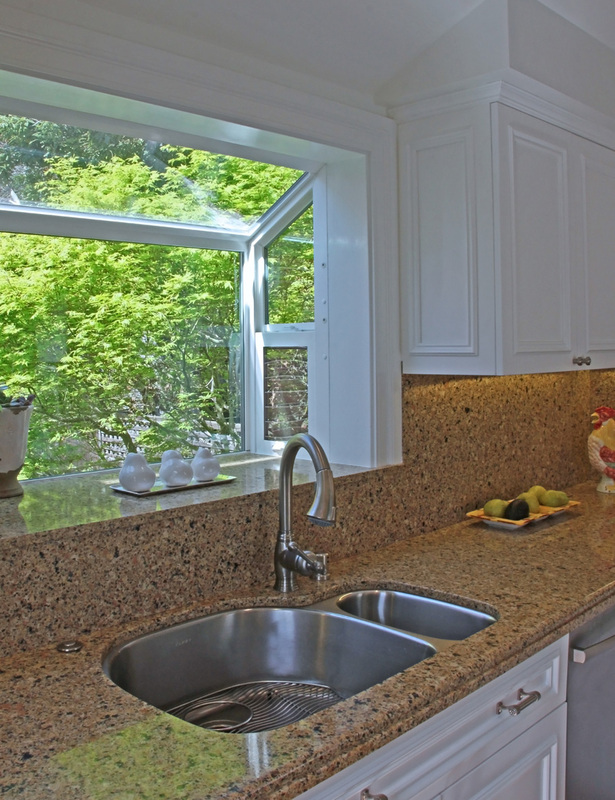 A large, green house window was added above the Kitchen sink and is now a featured focal point. 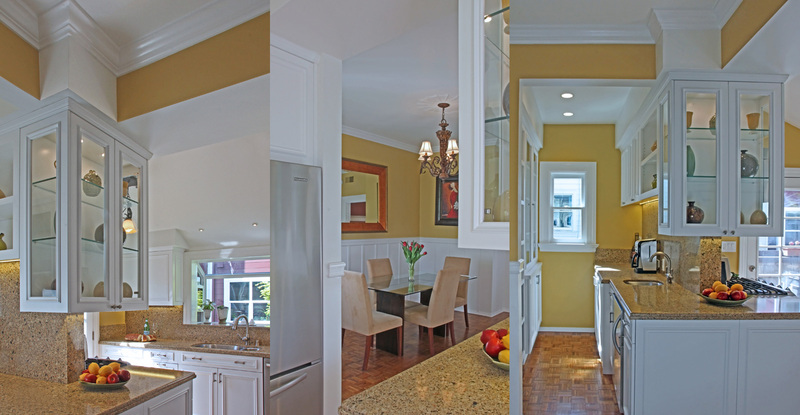 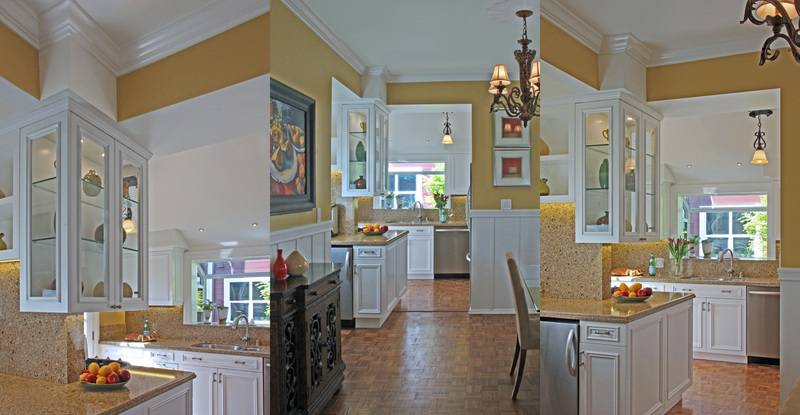 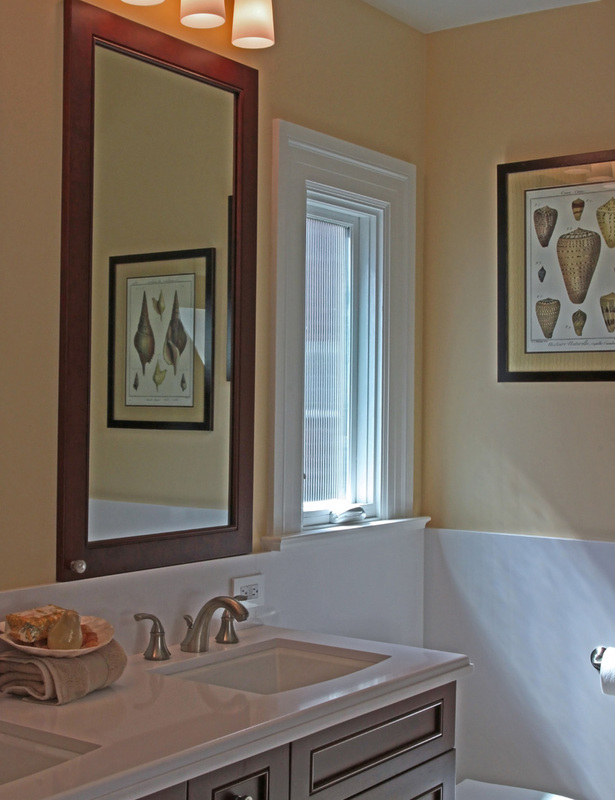 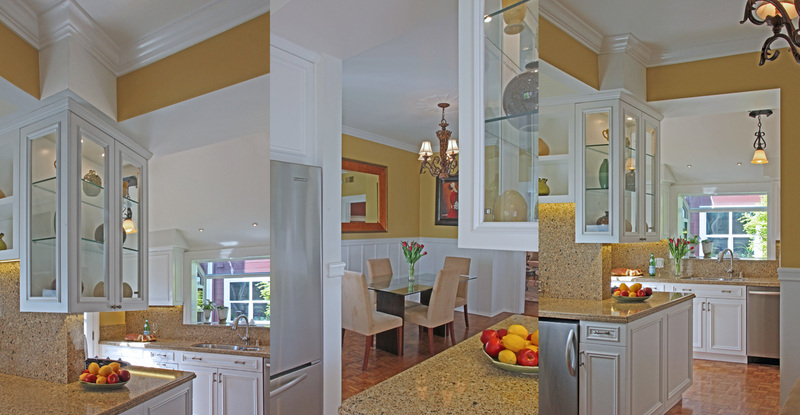 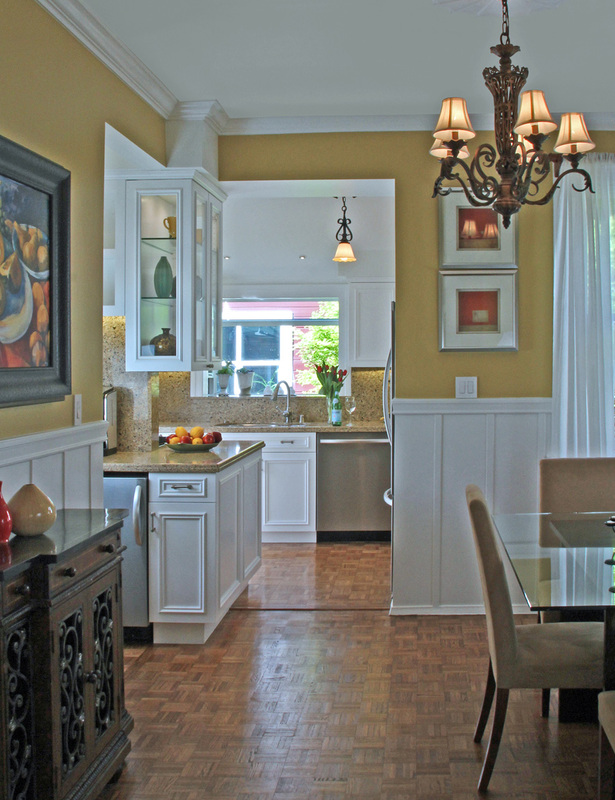 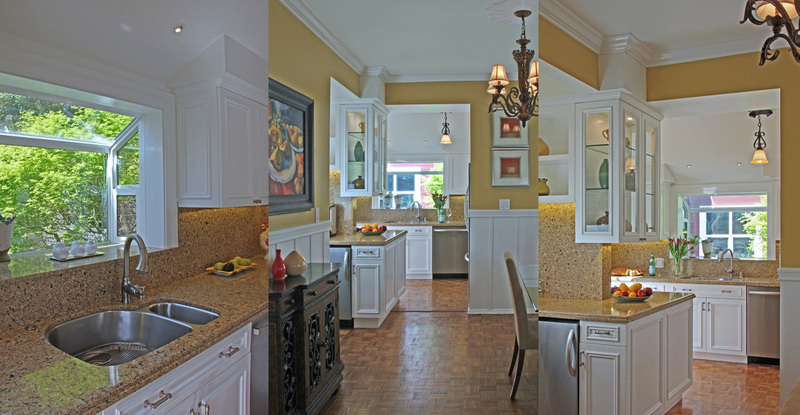 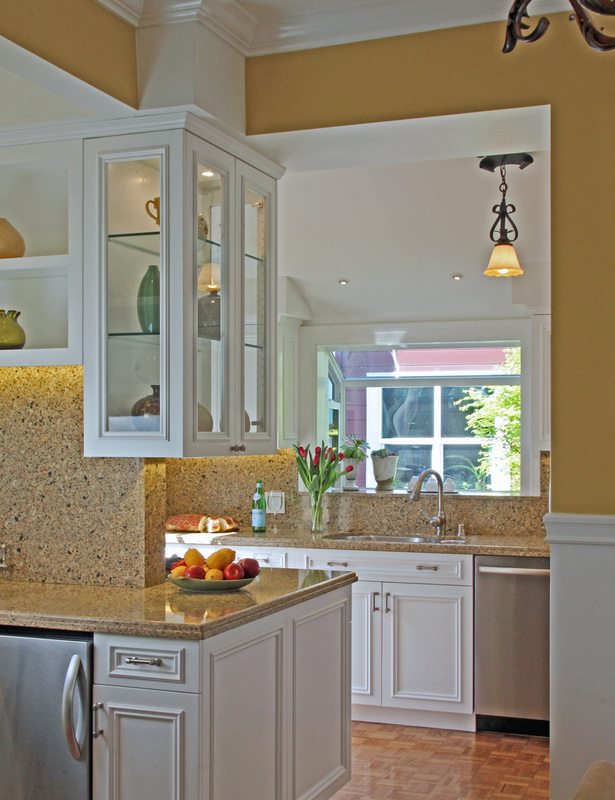 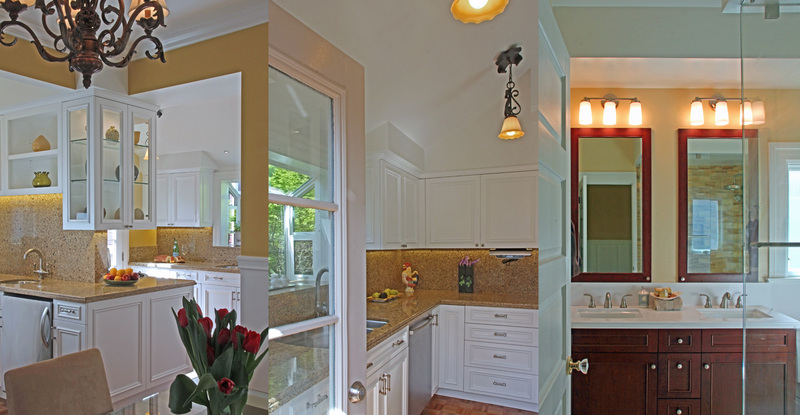 Custom Cabinetry and finishes were implemented throughout.